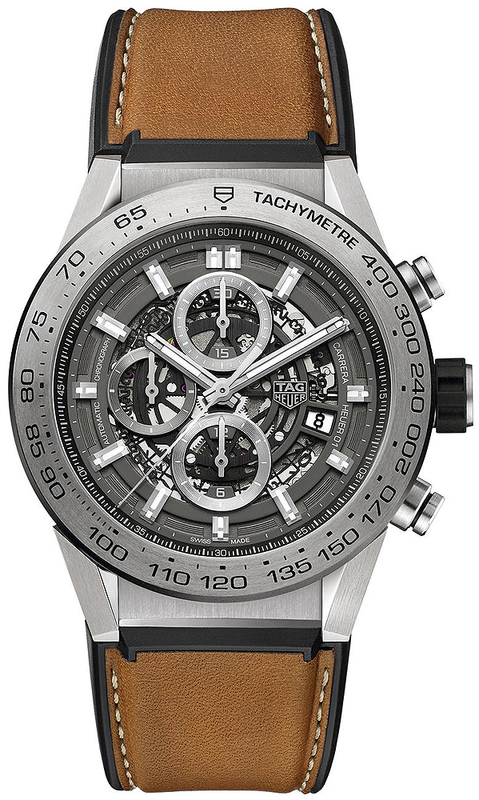 Buy this new Tag Heuer Carrera Caliber Heuer 01 Skeleton 45mm car2a8a.ft6072 mens watch for the discount price of £4,335.00. UK Retailer. Time related hands: polished & sand-blasted finished hands, hour & minutes with luminous fill. Grey rimmed small seconds sub-dial located at the 9 o'clock position. Grey rimmed 12 hour counter sub-dial located at the 6 o'clock position. Grey rimmed 30 minute counter sub-dial located at the 12 o'clock position.